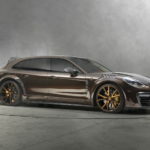 The Porsche Panamera lineup welcomed a new and very special edition called the Sport Turismo last year, which is based on the 2012 Concept. 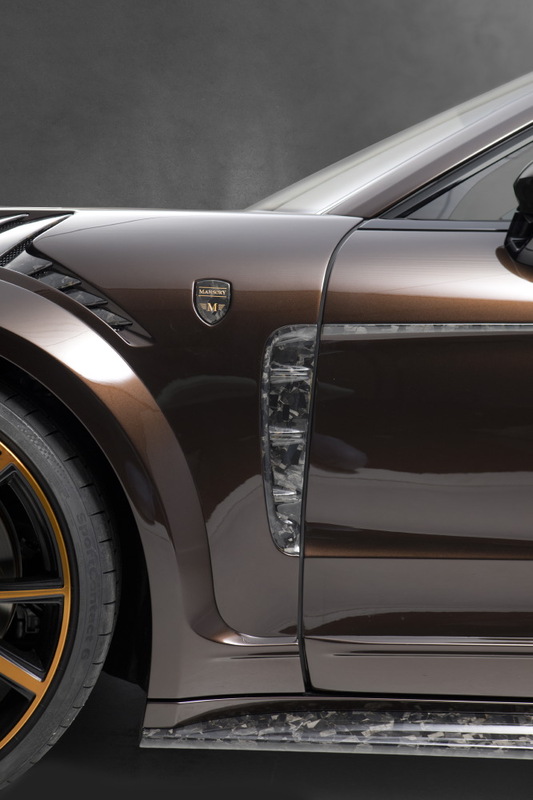 This particular model is perhaps the most outstanding of all, coming with more practicality, impressive design lines and some extra power under the hood. 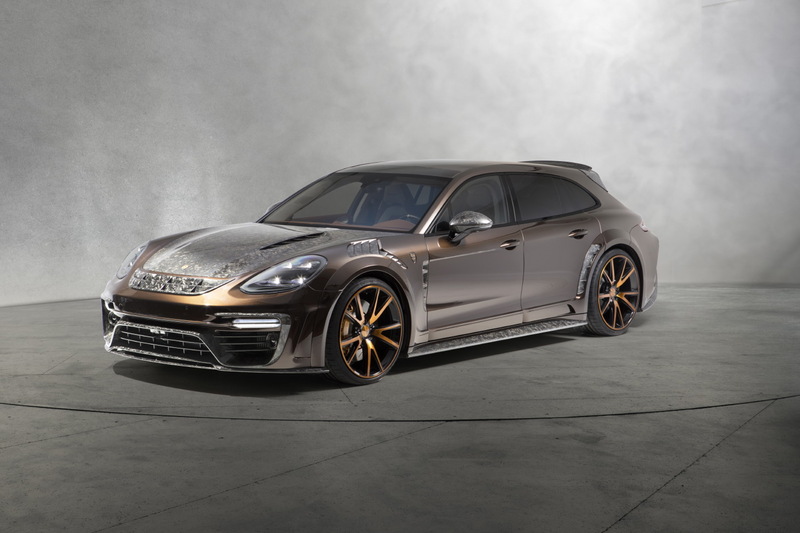 However, in the hands of specialists from tuning companies like TechArt or Mansory, the hot sports car is completely transformed into something unique, beyond our limited imagination and mind. 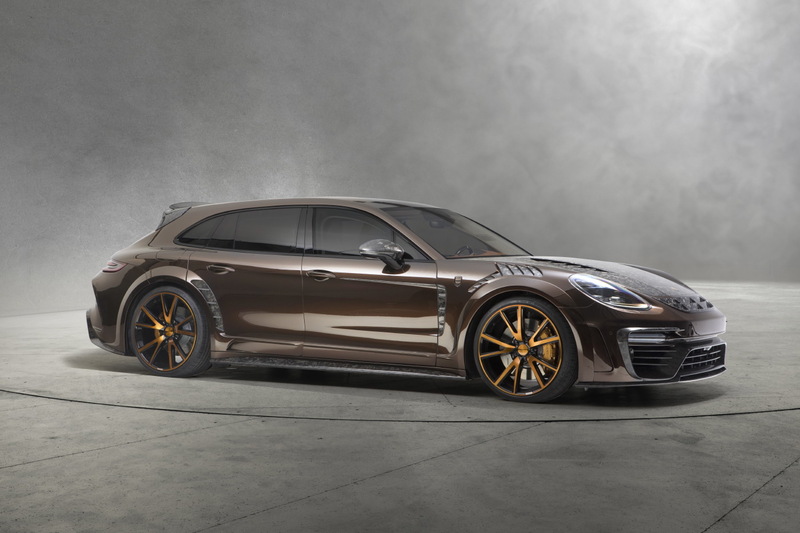 And for that, we have to remind you of the TechArt`s most impressive Panamera ever built, called the Porsche Panamera Sport Turismo GrandGT ‘Supreme’. 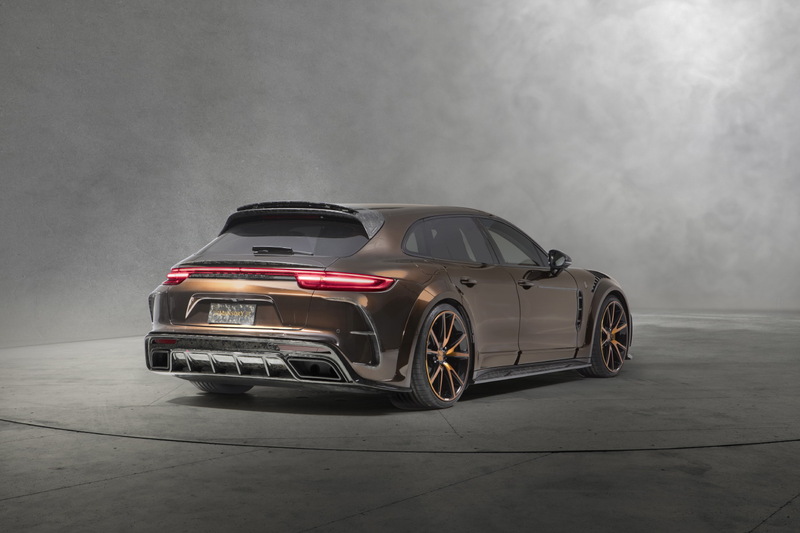 However, the program seen below and put together by Mansory also looks extremely hot and a real head-turner with the new carbon fiber package. 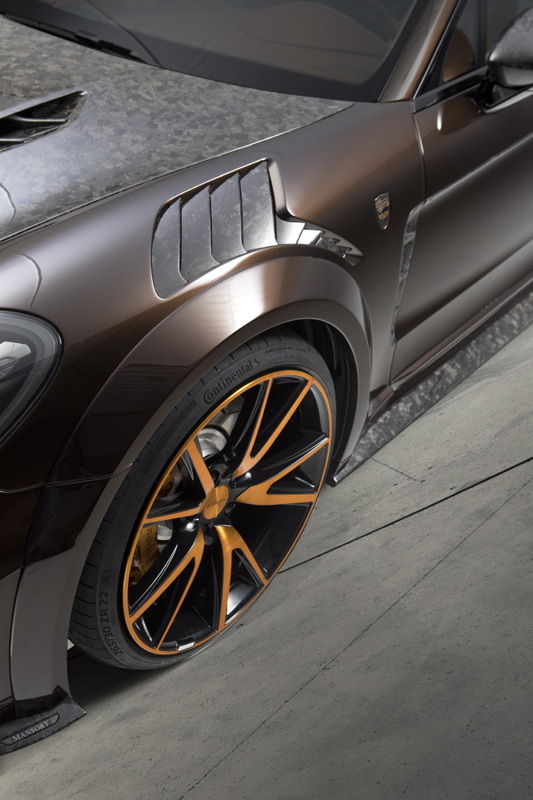 This is Mansory`s second built with carbon fiber components, after recently releasing the details of a Bugatti Veyron Vivere with the Marble Collage kit. 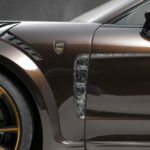 The massive use of carbon fiber is visible on the new front splitter and air intakes, vented hood and fenders, two-piece roof spoiler, bespoke side skirts and in-house built rear diffuser. 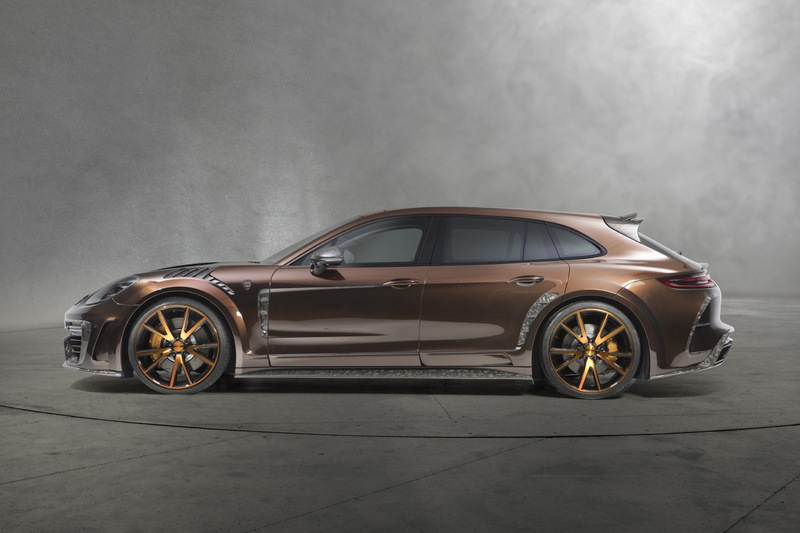 There is also the new lightweight alloy wheels which measure 22 x 10.0 and 22 x 11.0 front and rear, respectively and are wrapped in high-performance tires. The wheels reduce weight and provide as well better grip on the tracks. 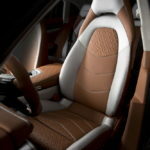 All these features contribute to the car`s more downforce and keep it closer to the ground at high speeds. 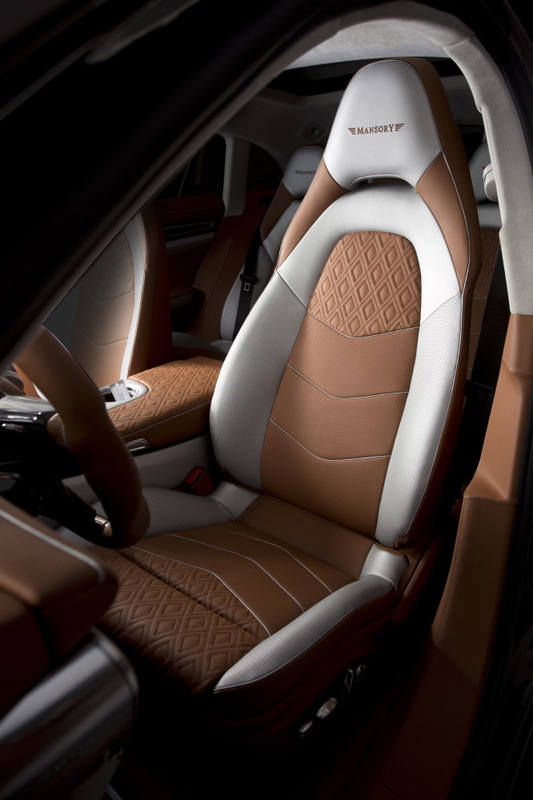 As for interior customizations, Mansory have also added premium leather and carbon fiber trimmings on the seats, center console, gear lever and steering wheel. Under the hood, thanks to a new ECU remapping, sports air filter and high-performance exhaust system, the car`s engine is now outputting 35 horsepower and 40 Nm of torque more. 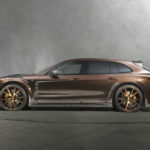 In stock form, the new 2018 Porsche Panamera Sport Turismo is equipped with a 4.0-liter twin-turbocharged V8 engine, with 542 horsepower in the top of the line, while the rest of the range ranges between 325 horsepower and 456 horsepower.